“A significant cultural shift is underway. 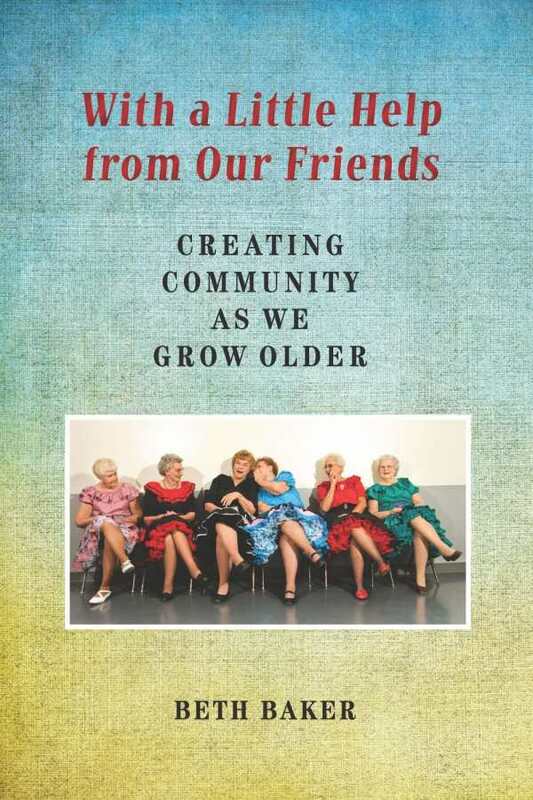 More than any other time in human history, people of the ‘Third Age’ are realizing that they can make other choices about where and how to live,” writes Beth Baker, whose With a Little Help from Our Friends reveals how people around the nation are creating innovative ways to live in community as they age—ways that give them more control, companionship, dignity, and choice than elders of past generations could have dreamed of. Baker, an award-winning journalist and author of Old Age in a New Age: The Promise of Transformative Nursing Homes, visited a wide selection of alternative communities around the country. Her lively interviews with their residents show how boomers, realizing that middle age will soon be “in the rear view mirror,” are coming together to have conversations about what they want their remaining years to be like, and who they would like to spend them with. Boldly challenging the assumption that being old means being frail, helpless, and vulnerable, they are coming together to take charge of their own destiny. Rebelling against the thought of being forced to go to that place of last resort—the dreaded nursing home—they are finding ways for neighbors to help each other, building cohousing communities, sharing a home with friends or strangers, devising creative ways to live with extended family, or coming together in affinity groups based on sexual orientation, religion, the arts, or other shared interests.